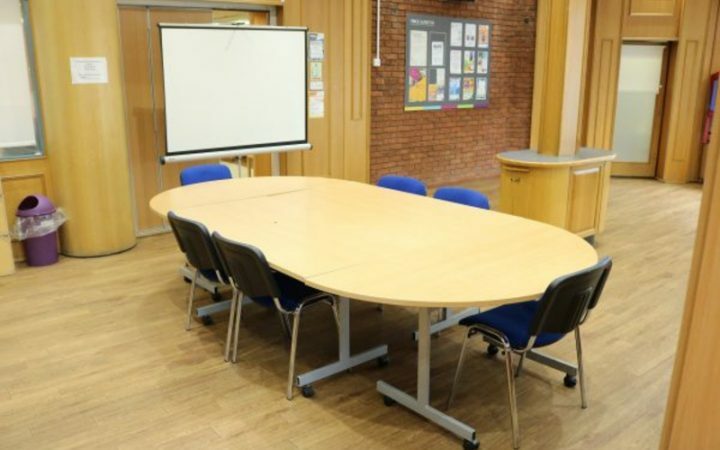 Whether you’re looking for a venue to hire for a corporate function, a birthday party, a wake or a special celebration, our meeting rooms at YMCA Surbiton are bright, airy and well appointed. 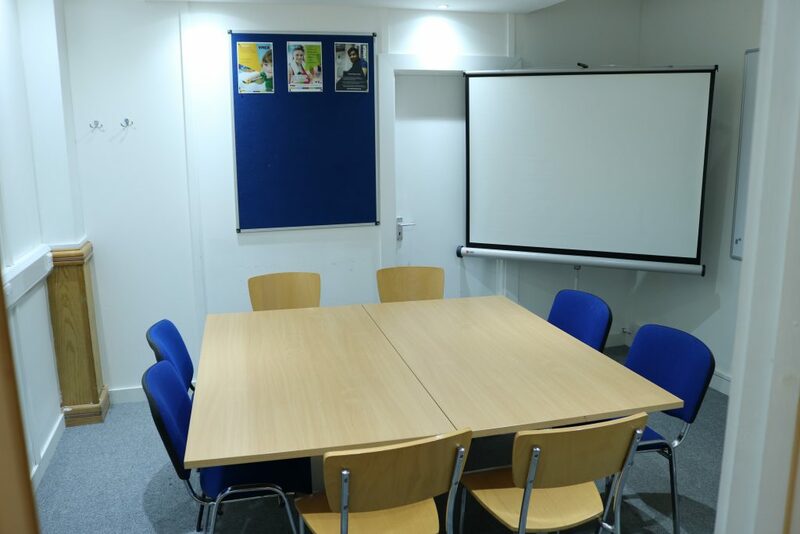 Our seminar room is ideal for meetings and discussion groups. With a capacity of 10 people, it’s available from £15 per hour. Our large function room is perfect for corporate conferences, children’s parties and larger social gatherings. 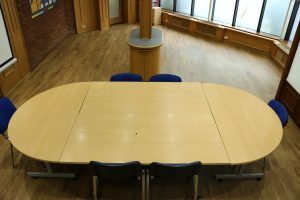 Suitable for up to 30 people, it’s available from £25 per hour. 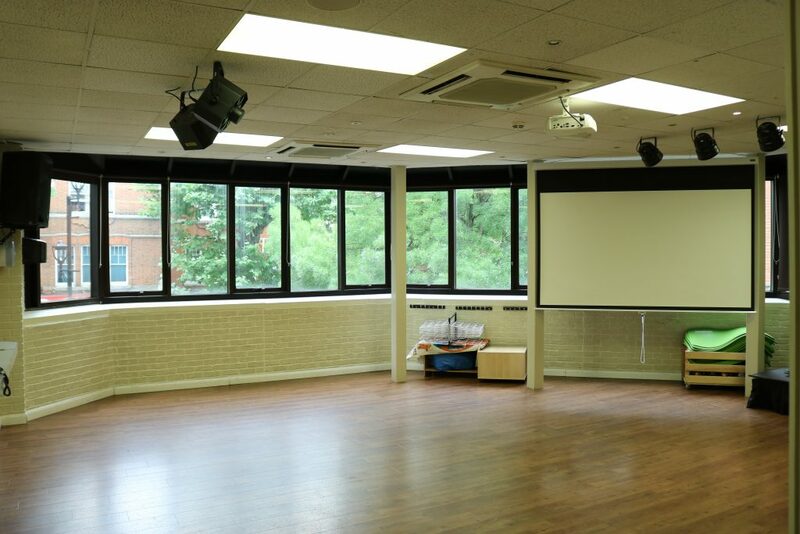 Our spacious air-conditioned health & wellbeing studios are available for hire, and can be kitted with a fitted projector, screen or disco lights. The rooms are capable of being diverse and are well suited to meet whichever your needs be. 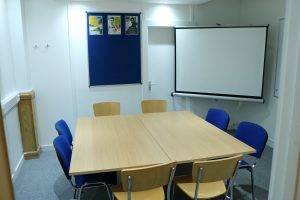 These rooms are available from £20 per hour. 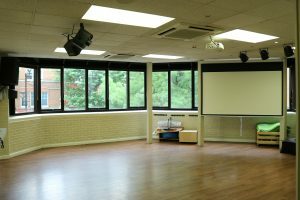 The YMCA Surbiton Community Café is a spacious venue with full catering and a licensed bar available. We can accommodate 150 people standing, 100 sitting. You can hire it from £30 per hour. 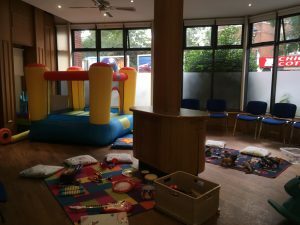 Our children’s parties are available to book on Saturdays from 2.30pm and Sundays 12.30-5.00pm and Sundays 12.30pm-5.00pm. Our spaces are ideal for traditional party games or sports activities. We can also provide disco lights or you can hire your own children’s entertainer. Children’s parties are for a minimum 2 hour booking but additional time can be added for a longer play time. Suitable for a maximum of 12 children aged 0-5 years. Contact us for availability and prices. Children’s parties cost £80 for 2 hours. Additional hours are charges at £20 per hour. All parties need to be pre-booked. Bookings are non-refundable and they are given on a first come first served basis. Download your party invite here. As part of the room hire package, we also offer teas & coffees plus biscuits, sandwiches, salad bar/carvery or a specialist menu prepared by our chef, if desired. The bar is licensed until 11 pm (corkage upon request). We are an inclusive facility with full disabled access. YMCA Surbiton offers free Wifi to its customers. Parking is available on-street (outside of peak hours) and at the Sainsbury’s car park next door.